A military plane’s debris has now been found after the plane went missing earlier today June 7, 2017. The plane was also reportedly carrying a total of 106 passengers. The passengers consisted of soldiers and family members. 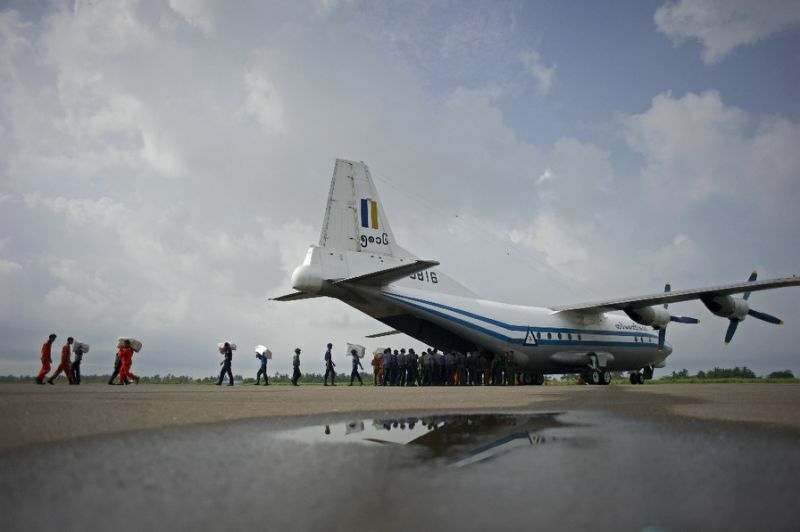 The plane is from Myanmar’s military. The search started when the plane lost contact with ATC (Air Traffic Control) and once the Navy was notified both ships and planes were immediately sent out to locate the plane. The plane even had at least a dozen children on it and was traveling from Myeik to Yangon. "Now they have found pieces of the damaged plane in the sea 136 miles (218 km) away from Dawei city," said Naing Lin Zaw, who is a tourism official. He added that the navy was still searching the sea. An air force source has seemed to confirm that pieces of the plane were found. According to the Commander In Chief's office, the plane lost contact around 1:35 pm. The plane was only on a short flight path of one hour. A total of four naval ships and two air force airplanes were searching for the plane. The planes flew up to 18,000 thousand feet in altitude. What’s possibly the most strange about this story is that there was bad weather at the time the plane vanished. Bad weather is sometimes a reason for plane crashes. The plane has only had a total of 809 flying hours. The plane is also a Chinese made Y-8F-200 and has four engines. A man who wanted to remain nameless said that "Myanmar air force has very bad safety performance,"
One former executive at the aviation ministry said that the nation’s fleet of air vehicles was old decrepit. The nation of Myanmar does have a certain recent history with aircraft not functioning properly and causing crashes. In February of last year, a crew of five people died after the plane burst into flames just after takeoff. That incident happened in the capital Naypyidaw. Two officers were even killed when a helicopter crashed into the side of a hill and then burst into flames. Recent demand for air travel has without a doubt caused many issues with the avionics infrastructure over the past few years.